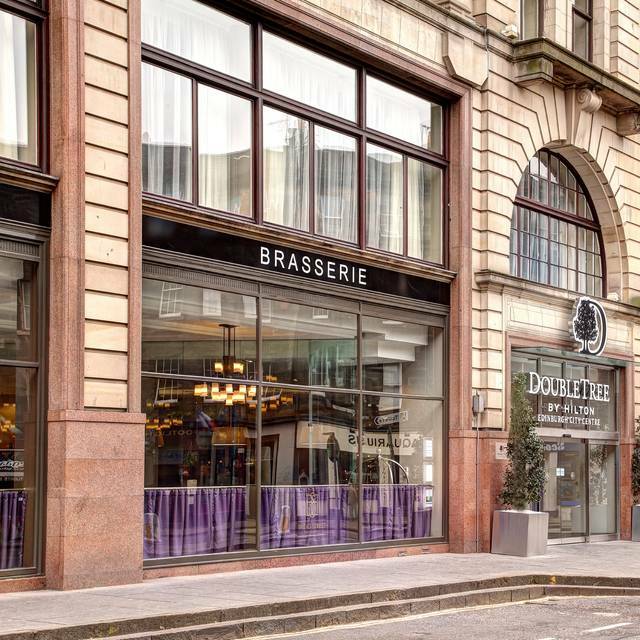 You must make bookings at least 5 minutes in advance of the time at Bread Street Brasserie. Open for reservations online only on Friday. Any group bookings could be done any day. 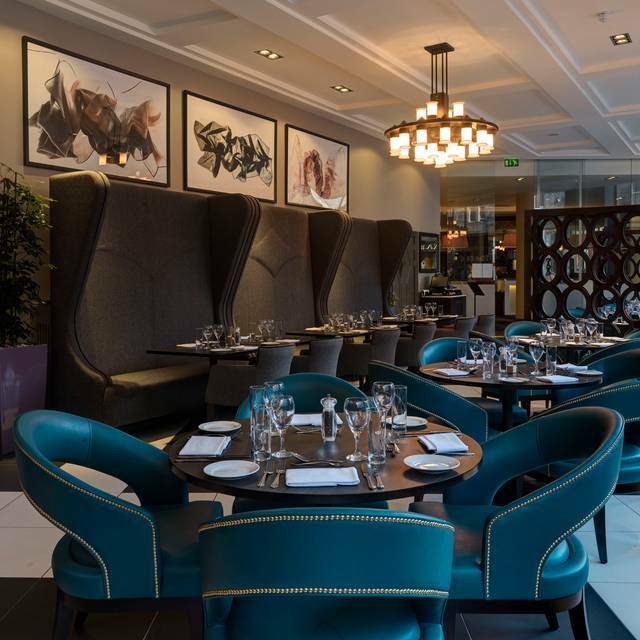 Bread Street Brasserie is located within the DoubleTree by Hilton Edinburgh City Centre. We can offer you various spaces for private dinners and events including our Penthouse, known for our monthly SKYbar that takes place on the first Thursday of every month from 6pm. 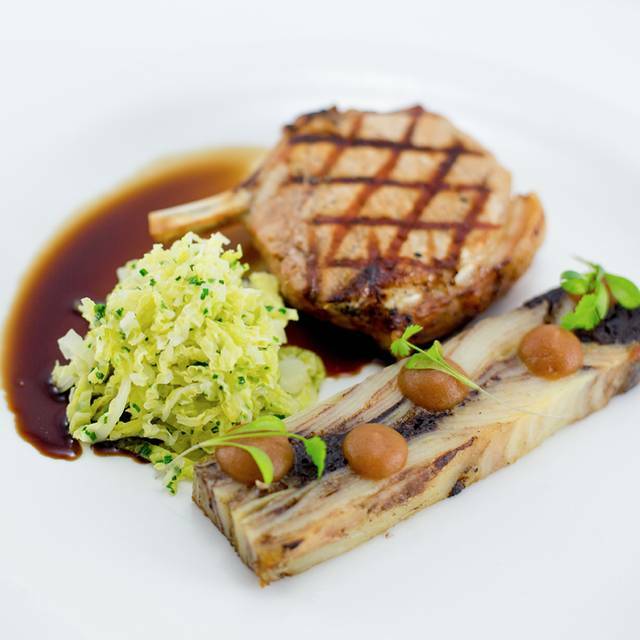 At Bread Street Brasserie we seek to tell our story through the food we serve. 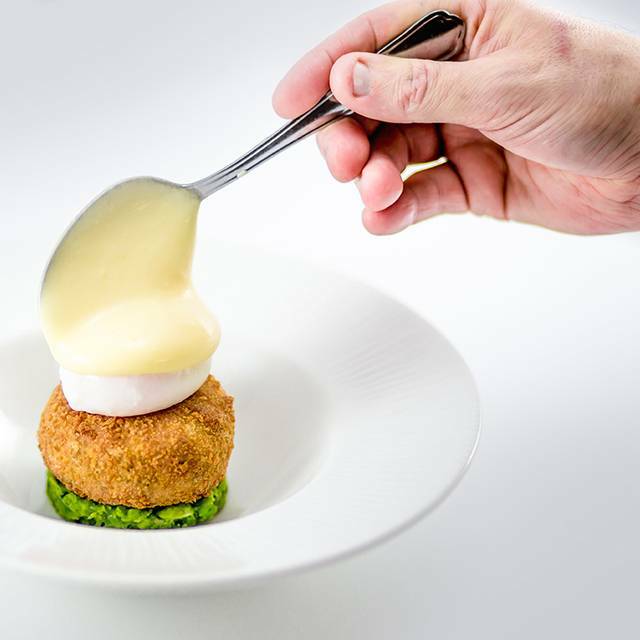 We choose to work with the best in the industry and want to share our love for good food with you by creating a tantalising experience that you won’t forget. With a modern take on fabrics, fixtures and fittings, relating to its past as St Cuthbert’s Co-operative, there is a real sense of romantic homage. Our open plan floor, transparent entrance and gaping large windows mirror the honest and approachable accessibility of genuine service. We are happy to cater to your dietary requirements. Just let us know when making your reservation. "If ¾ of your drink is the mixer, mix with the best." Convenient as in hotel was stating at. Starters looked and tastes great although salmon too rich for my brother. So didn't finish it. Lamb main was excellent. Steak was a bit rough and gristley. Ordered medium rare and would have medium next time as was difficult to distinguish fat and gristle from red meat. Service was excellent. waited over a our for the first course. Service very poor but this seemed to be due to kitchen staff problems and not the waiting staff who were left trying to keep the customers happy. We were given our bottle of wine for free to compensate. We were there on vegan night and it was really to try out this place with 2 vegans (we are not). Unfortunately the stop start nature of the meal adversely affected the whole experience. I suspect we were just unlucky. 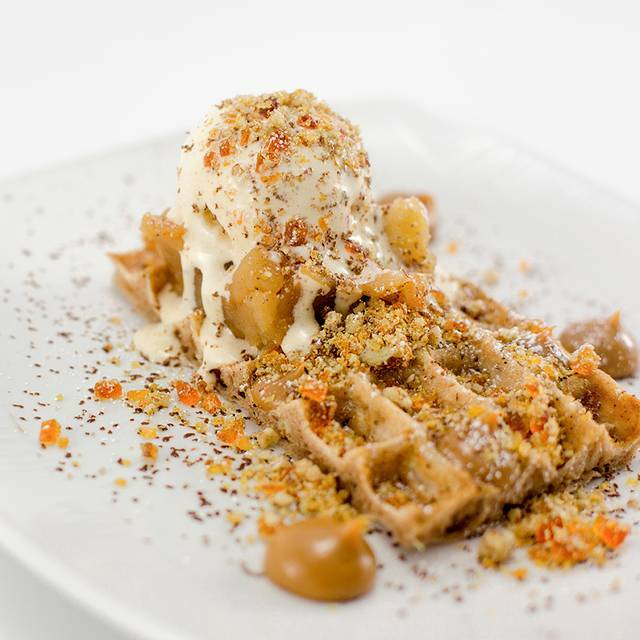 As a foody and someone who cooks a lot of creative vegetarian and vegan meals, I went to a vegan night at Hilton with curiosity and high expectations. Sadly I was dissapointed: there was no imagination in the meal, it was boring, dry with far too much salt and no other herbs or spices added to the dish. To make vegan food tasty it needs to be vibrant in colour and flavour and you can't achieve it with just 3 ingredients or so. Paying for a meal which doesn't meet your expectations really annoys me as when I go out I want to eat something I would not be able to prepare myself. Not at Hilton. My friend who chose a different dish yo mine was equally disappointed. We won't be back! The bread street brasserie appears to be closed. Despite taking reservations, they sent us to an adjoining restaurant. It's a hotel restaurant and the food was rather uninspiring. Very disappointed. I couldn’t believe how slack the staff are. There were loads of staff but they didn’t do much to make it a nice evening out. Service was worse than slow and everything was prompted. Eventually they brought bread. Then we waited and asked for butter. They brought out three packets of butter for 5 people. So was asked for some more butter. We asked for a bottle of champagne. They said - oh we don’t think we have any - even though it was on the wine list. We said - it is our friends birthday - special occasion - so hey made a huge effort to find some. I wou;d have thought most places would want to sell champagne. The food was ok - although my friend wanted roast chicken - but they only had chicken stuffed with haggis and weren’t prepared to prepare something without haggis. Then when we finished the meal (we on;y had one course), they left our plates on the table for about 20 minutes and didn’t clear them away. Frankly - I don’t know how they got any good reviews. The whole place oozed a sense of boredom and complacency. I wouldn’t recommend it. The service was pleasant and the food was good. We chose the place because of their menus posted on the internet. When we arrived we discovered that many bar and menu selections were unavailable. Had we known our choices would be so limited, we would have gone elsewhere. The Restaurant was clean, tidy, lovely greeting by the F&B manager, we were sat promptly with the specials and soups outlined before taking our food order. Drinks and food were timely, all our needs were addressed. The food was excellent, as was the selection of spirits. All food and accompanying service was to a very high standard and to top it off they laid out a plate of decorative brownies with a”Happy Birthday” message written in chocolate which they presented to my Mum during our dessert course which made the experience even more special. The F&B manager was very attentive to all our needs, was relaxed and jovial with us and offered some advice for other bars to visit during our time in Edinburgh. Overall an exceptional visit, great value for money, great quality. Nice hotel restaurant, good food, well presented, attentive staff but the place was completely empty other than us, so the atmosphere was somewhat lacking. More limited vegan options on an ordinary night than I expected, given we gave advance warning and they offer specific vegan nights monthly. Still, a nice enough mean. The vegan options were great and staff went out of their way to adapt things to dietary requirements without being asked. Food was delicious. The only downside was that we waited half an hour to have our desert menus brought over after asking and it was very quiet so there was no reason I could see for it to take so long. Just a mistake though and I would definitely be back!! We came down from Aberdeen to attend our friends daughters evening wedding celebration within the Hilton so thought this would be handy for dinner, and easy to pop through to the event. It was dead quiet (never a good sign) but staff were pleasant. Our main course was fine, not amazing but perfectly adequate. Then the waitress came with the sweet menu, left us a few minutes then came back to tell us the only dessert we could have was fruit salad or ice-cream!!!!! Really? No apple pie, sticky toffee pudding etc etc? On a Saturday night? A table of 8 came in as we left so I hope they weren't expecting a slap up & a big bowl of pudding!! Recently visited the restaurant for its Vegan Night as my wife has recently become a Vegan and we liked the look of the menu. All the food we had on the night was really tasty and at only £17.50 each for 3 courses it represented excellent value. The staff serving us were very friendly and attentive which made for a great experience all round. We will definitely be returning at some point in the future. Good central location to meet up with friends. Service was efficient and friendly and the food was well presented and cooked. We all enjoyed our choices from the lunch menu. 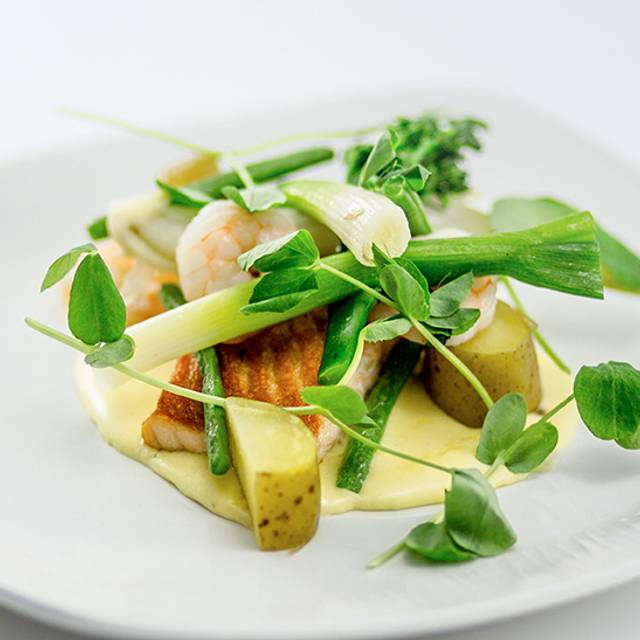 Bread street Brasserie was a great dining experience that we would love to enjoy again. Did not have a good meal 3 meals was not cooked and fish no taste and watery. 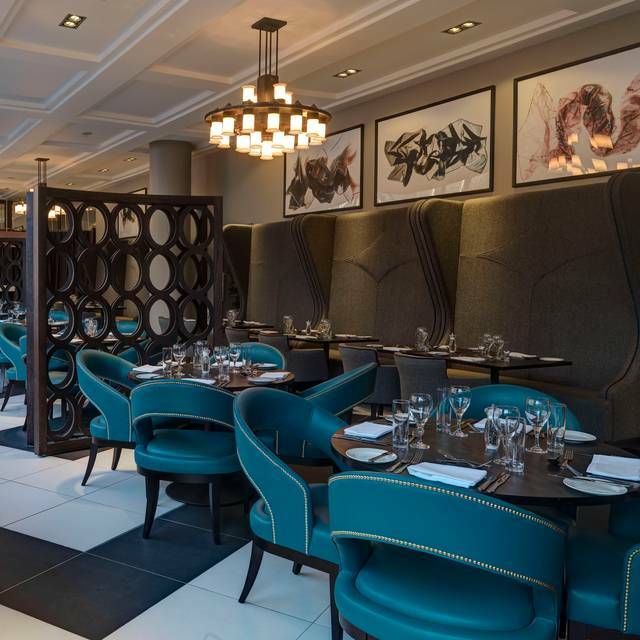 We’d booked the bread street brasserie based on a recommendation from a friend who guaranteed the best haggis. The haggis was nice and appears to be a standard on the starter menu... but in a different form... it was breadcrumbed and fried. Completely different to what we were expecting but still a tasty starter. The Shepherds Pie was exactly as designed... a perfect comfort food. Perfect after a days exploring with a pot of red cabbage for accompaniment. Our issues came when every member of waiting staff (3) on duty asked if we were ok in the space of 2 minutes. We’d barely had a chance to take a bite in between. It was a pleasant experience and we were afforded the time to relax after our meal and finish our drinks. I’d recommended it you were staying nearby but nothing so mind blowing as to warrant a journey from afar to the restaurant. We were staying overnight at the hotel to go to a nearby concert so chose to eat there too. The staff were VERY friendly and attentive without being intrusive and seemed genuinely interested in us and our reasons for eating there. The food was served reasonable quickly (which was good as we were going to the concert for 7.30) and was absolutely delicious. We skipped starters but was served home made cranberry and walnut bread which was to die for. My husband had the buffalo burger and I had the steak pie - the pastry was obviously made with butter and tasted delicious. Then my husband had the apple pie and custard while I had the chocolate mousse and walnut ice-cream -it was SO good!! We will definitely be eating there again for sure. Absolutely fantastic vegan food. What a treat. So rare to have three excellent choices on each course. Excellent service with good food in pleasant surroundings. Excellent three course vegan meal in a pleasant restaurant with good service. The food was delicious and the portions generous. It was busy but didn't feel overcrowded. We thoroughly enjoyed our evening and will definitely be back! We visited for the vegan night. The food was tasty and the restaurant relaxed. The service was friendly but seemed a little disorganised. How ever this did not affect our experience. We went for Vegan Night and it was fantastic! Food was tasty and well presented, and the service was great. Lovely food and nice service. Off Lothian Road so not so busy that you can’t hold a conversation. Although the food was excellent and the service was mostly very good, there were a couple of things that lost some stars in the rating. Just little things, really, but you would expect them to be in place given the surroundings and the price we paid for Christmas dinner. Firstly, no one asked to take our coats and scarves when we were seated, so we had to hang them on our chairs - I know it's not a big thing but you'd expect a good restaurant to offer such a thing, especially as they were bulky coats to combat the Edinburgh winter weather. Also, the service was variable, ranging from fantastic to just plain surly. One waitress of the latter description grabbed my partner's starter at one point and started taking it away. She told the waitress she hadn't finished, at which point the waitress handed it back and stood on her shoulder watching her eat (seriously, she did) and the split second she finished the last scrap, the waitress whisked it away. It was like something from a sitcom. The same waitress also forgot to bring us some water we'd requested and we had to rely on one of the better waiting staff after waiting twenty minutes. To cap it off, the same waitress brought our desserts without one word and half-dropped/slid them onto the table before marching off again. As I said, little things, but we just felt the service could have been that little bit better given the price of the meal and the prestigious surroundings. The 6 course Christmas menu was a great choice as the food was lovely, the service was exceptional too. £70 a head was a bit steep but there was always going to be a premium to pay on Christmas Day. Went for Christmas dinner there. Got the Christmas menu, bit overpriced for what you get. Starter was very average the main was okay but nothing special. The pudding and service were both great so mixed bag. 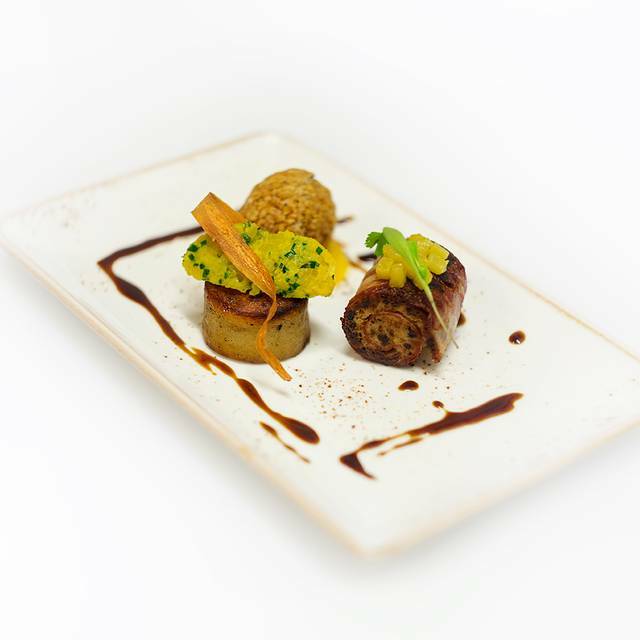 Reluctant to recommend as two visits earlier in the week were very poor quality as regards the food. This particular visit although only two days later the food quality was significantly better. Service good and food excellent - couple of nice vegetarian options on both general menu and festive menu. Relaxed environment away from the hectic Xmas crowds. My friends and I thoroughly enjoyed our night out at the Bread Street Brasserie on Saturday the 2nd of December.The staff were very nice and the food was lovely .Would recommend to any of our friends and we would come back again. 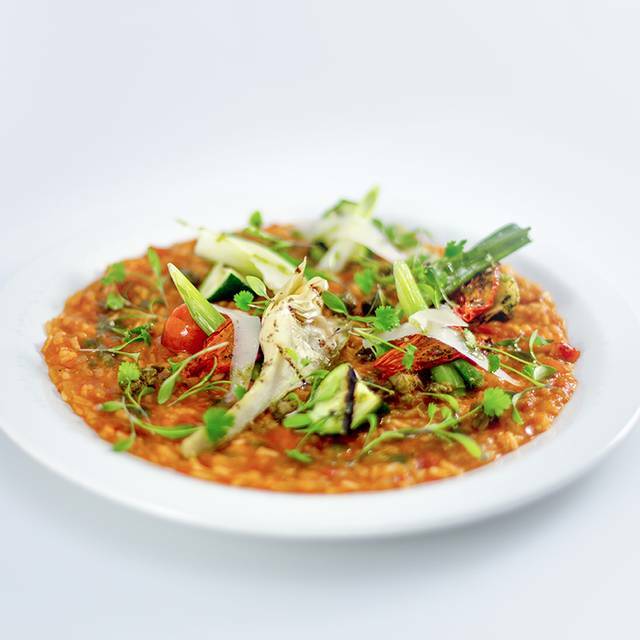 The service we had from Pavlos was excellent and the food was really quite good for a reasonable price. Will definitely recommend this place to others! Restaurant was dead only 2other diners. We were offered bread ( cheap frozen baguettes ) we use at school where I work. Surely chef could be making fresh bread? Cauliflower Starter lovely presented but no seasoning!! Main course was fish it was nice. Really disappointed as we were only in Edinburgh for one night. Exceptional staff who go out of their way to make your evening and meal memorable. Fantastic food , great ambience and well worth the prices . Visited the bread street brasserie while on a trip to Edinburgh to celebrate our wedding anniversary. The staff were extremely welcoming and helpful. Would definitely dine here next time I'm in Edinburgh.